Just because you have two white sofas does not mean the rest of your decor has to be simple. You can have a dramatic space with darker hues but still, allow your double white sofas to make the statement they were intended to make. Use darker walls and match your pillows along with it. A textured sofa is perfect for adding a bold appeal but still being contemporary and easy on the eye. The idea is to keep the decor simple but allowing the texture of the sofa to make the statement. 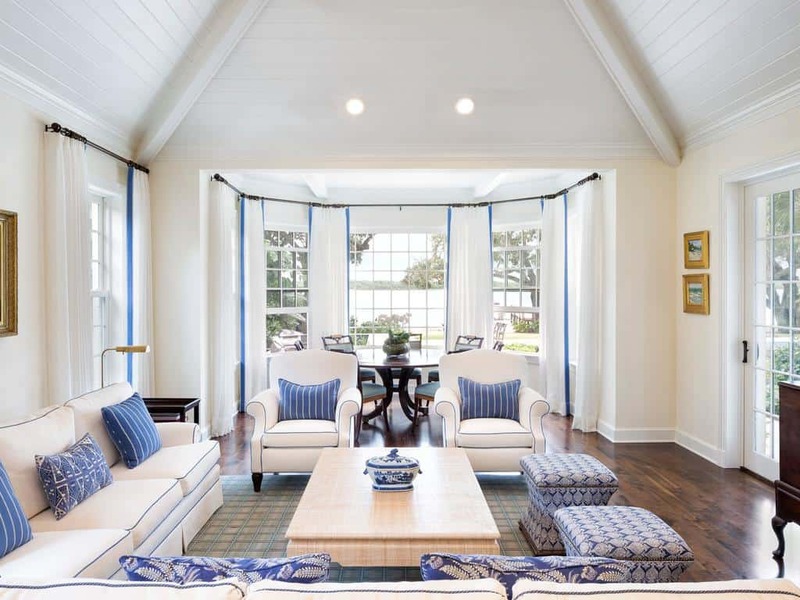 Consider having a colorful center table or ottoman for a soft contrast. A simple glamorous touch could be exactly what your living space may need, especially when you are working with white furniture. 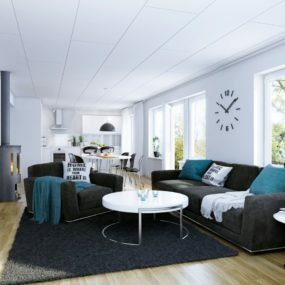 Consider lower sofa’s that are a bit more simple. 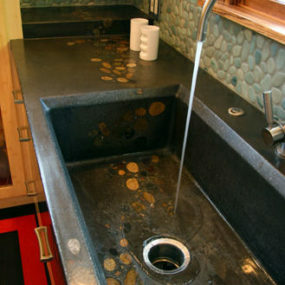 Doing so will create a glamorous appeal that is still beautiful and a bit out of the norm. Go for a glamorous touch when it comes to selecting your white sofa. Pair with glamorous lighting to bring that classic, glamorous vibe to the space. The key is working with other chic décor pieces such as adding a chandelier and/or other light fixtures for a well-rounded appeal. 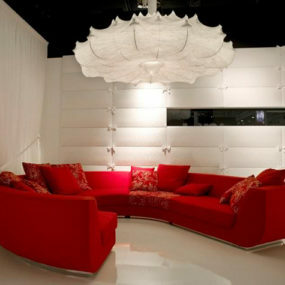 White is a perfectly neutral hue that works well with bold hues such as red. Red is an excellent pop of color especially when it is laid-out in a way that it appears cohesive. Add touches of red throughout the room to bring it all together. We love a pop of color, especially in a white space. Consider a bright pop of color such as red, red makes an excellent pop of color because of how daring it is. Use a red accent chair for that added brightening effect or even throw pillows to bring the hue in smaller doses. Off-white is perfect when you don’t want to have that heavy white appeal yet still want the classic feel of having a white aesthetics. 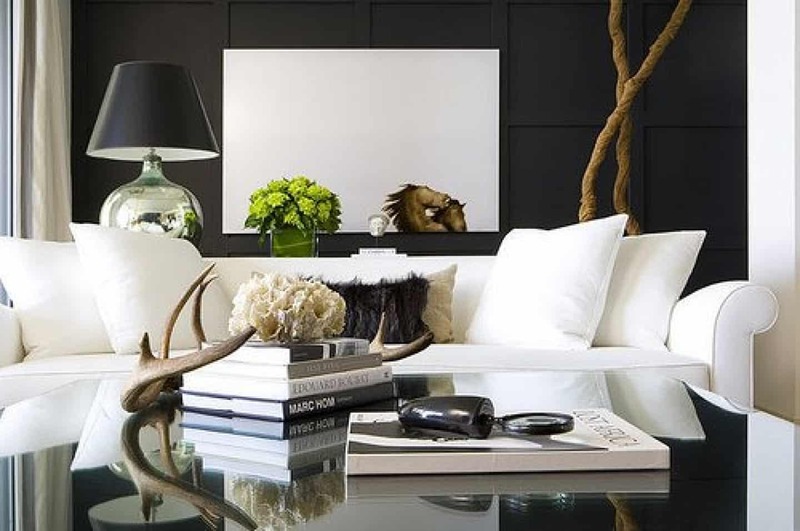 Keep the decor neutral to have a chic flow throughout the living space. Add hints of pattern throughout to have a bit of texture. Adding a rug is great not only for color if you choose to use color but great for texture as well. You may choose to add a textured rug one that would help break down the starkness of having white all over the room. Consider adding a rich hue surrounding the decor to pull it all together. 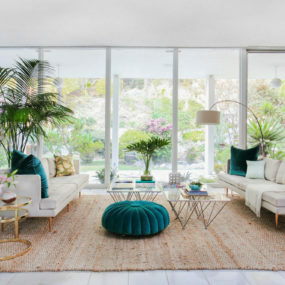 We love a good rug in the living room, especially when it is paired with modern white sofas. The classic appeal of the rug paired with the modern aesthetics of the rug will brighten the area while bringing your décor full circle. Muted hues add color without the compromise of having bold hues take over the space. It can be quite distracting to have daring shades become the center of attention. 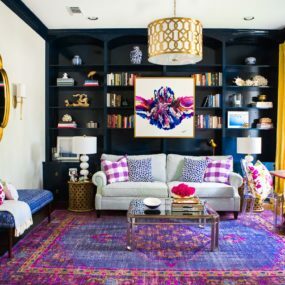 An excellent form of muted hues is using rich jewel tones, they seem to work best in the space. If bold hues are just not your favorite, muted jewel tones is one way to go. Doing so will allow you to add color to your white sofas while not taking away from the traditional white décor. Pair with additional jewel tone pieces to bring your décor together in a seamless manner. 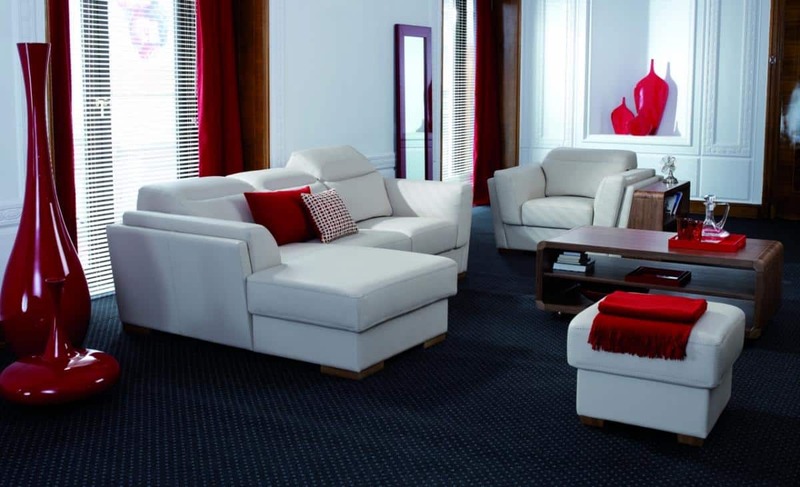 Having one white sofa could be just what you need to add to your living room. Instead of having two add one and work around it for a perfected look that is classic, chic and unique all at once. Pair with accent chairs for a beautiful contrast. 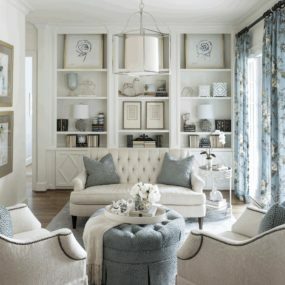 Having two white sofas can be a bit overwhelming when you want to have a neutral palette yet don’t want to have a “boring” feel to it. One way to avoid this is by having one white sofa instead of two. 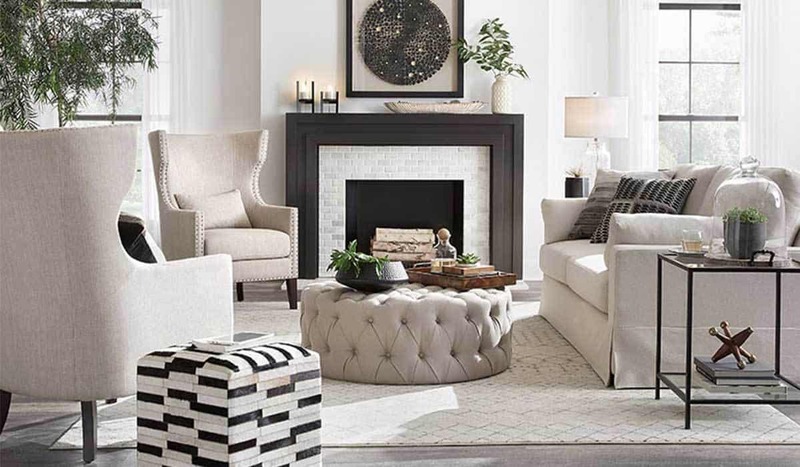 Two can be a bit much, but when having one couch instead paired with a bold accent chair can be exactly what your décor needs. Pattern pillows are the perfect addition to any sofa even those that aren’t white. 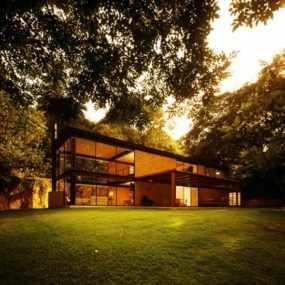 Their main purpose is to add texture and personally in small doses. Think of them as tiny additives that create a big picture. Patterned pillows could be exactly what you need to add that much-needed texture that could be a bit difficult to achieve otherwise. 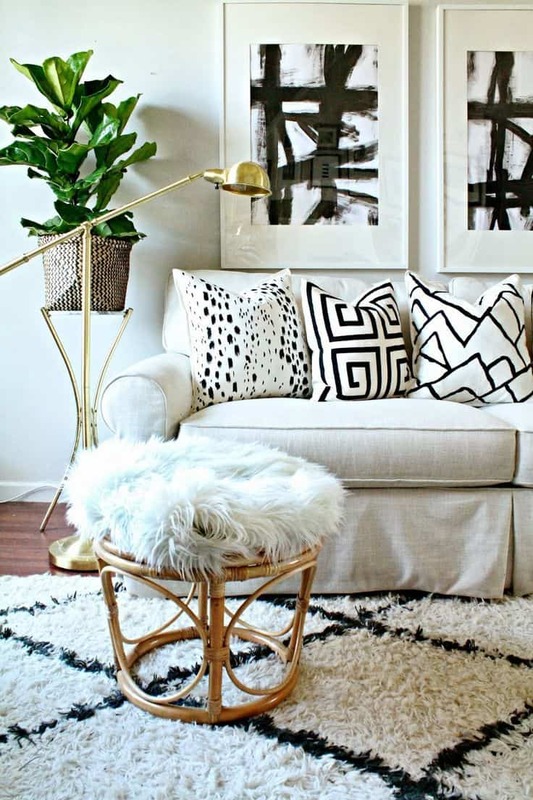 Use multiple different pillows in various patterns for a completed look that works well with your white sofa. Custom furniture is quite nice when you want to create something completely out of the ordinary yet perfectly put for your individual space. Your space will become twice as personal when you go the custom route. Considering a crazy idea, but can’t find your preferred design? If this is the case a custom white couch could be exactly what you need. Not only will it be the perfect couch for you and your space, but it will make a bold statement overall. 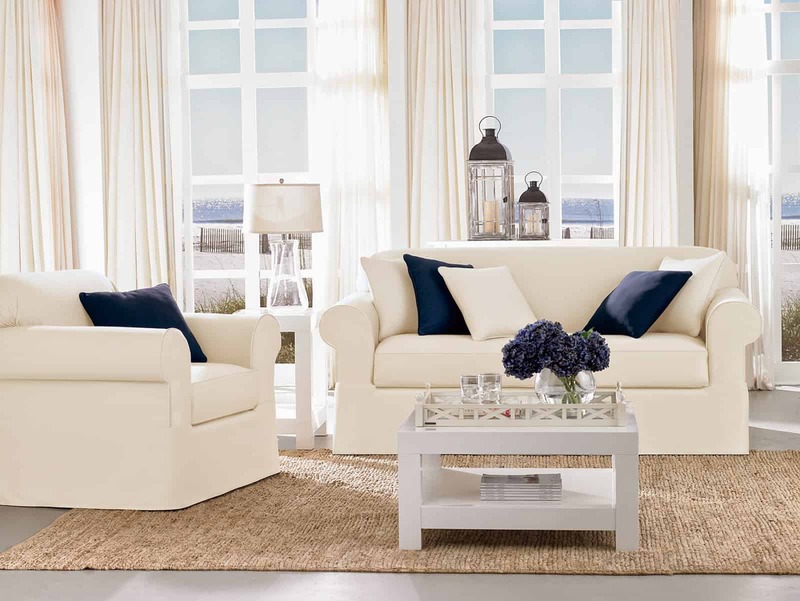 Adding a white sofa in your living room could be exactly what you need to expand on the space. Which of these ideas is your current favorite? Please share with us below.